Looking for some tips for growing tomatoes? If you want to have a better harvest for your when you plant your next batch, this will help. I’ve been growing tomatoes on my homestead for a long time now and I’d have to say, my harvest isn’t always the same. There are some times when I get a lot of tomatoes and other times that they’re just so-so. 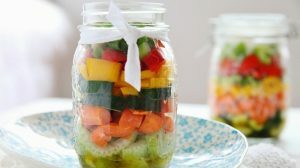 I didn’t want to waste time and energy and not get my money’s worth so I looked for ways to make sure that I get better results. 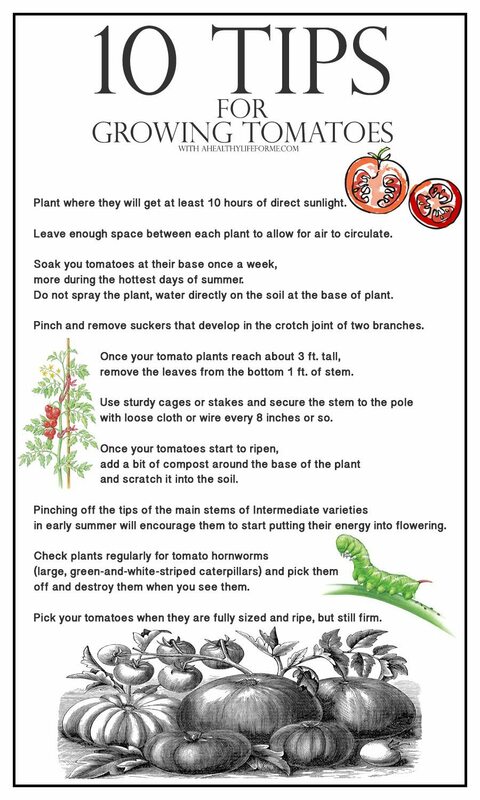 If you want some tips for growing better tomatoes, here they are! Thanks to A Healthy Life for Me for these helpful tips! Click here for the enlarged image! Plant where they will get at least 10 hours of direct sunlight. Leave enough space between each plant to allow for air to circulate. Soak your tomatoes at their base once a week, more during the hottest days of summer. Do not spray the plant, water directly on the soil at the base of plant. Pinch and remove suckers that develop in the crotch joint of two branches. Once your tomato plants reach about 3 ft. tall, remove the leaves from the bottom 1 ft. of stem. Use sturdy cages or stakes and secure the stem to the pole with loose cloth or wire every 8 inches or so. Once your tomatoes start to ripen, add a bit of compost around the base of the plant and scratch it into the soil. Pinching off the tips of the main stems of Intermediate varieties in early summer will encourage them to start putting their energy into flowering. Check plants regularly for tomato hornworms (large, green-and-white-striped caterpillars) and pick them off and destroy them when you see them. Pick your tomatoes when they are fully sized and ripe, but still firm. How are your tomatoes doing? Let us know in the comments below!